Chinese real estate tycoon Wang Jianlin opened his first amusement park in China's southeastern Jiangxi province last weekend. 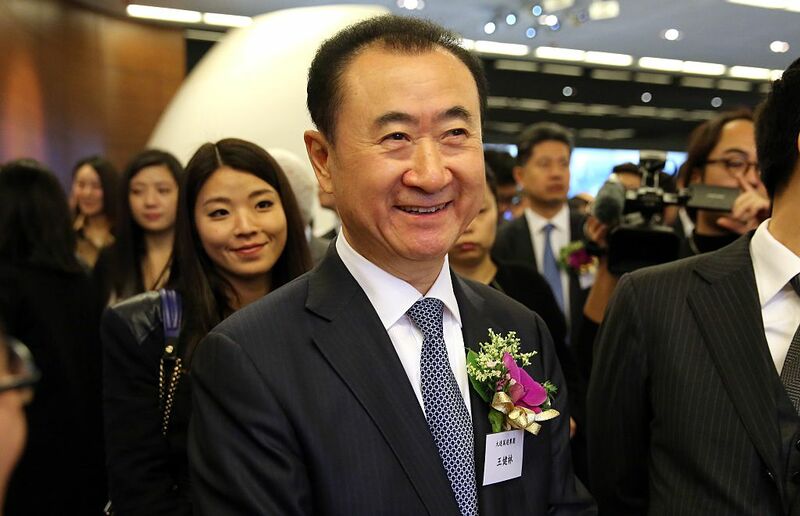 These projects mark a dramatic shift in his Dalian Wanda Group, from real estate developer to entertainment and tourism company, as China's property market is in decline. Wang hopes that he can avoid a projected 12% sales slump this year, by diversifying his company and tapping into the expanding Chinese middle class. Wanda says their real estate driven revenue rose 19% in 2015, to $45 billion, but by the end of the year – they had closed a third of their real estate plazas, according to Insite Research. Instead, they have been focusing on entertainment, such as the recent $3.5 billion purchase of production company Legendary Entertainment and the AMC movie theater chain in 2012. Built for the price of $3.3 billion, the Wanda Cultural Tourism City is the first of 15 planned theme park and entertainment projects in China that cater to the nation's middle class. The Wanda Group plans to unveil its second Wanda City in Hefei in September, with five more opening in the next three years. Their goal is to attract 200 million tourists and $15.5 billion in revenue by 2020. The Cultural Tourism City spans almost 500 acres of Nanchang and features a theme park with a record-setting roller coaster, a 14-screen movie park, an aquarium, five hotels, and many retail outlets. The firm boasted interactive cinema experiences which allow guests to fight monsters and fly through the province. It can accommodate 30,000 tourists with anticipated annual visitors numbering over 10 million. The park will also create jobs for 20,000 locals. The theme park launch has been accompanied by Wang's outspoken criticism of Disney, who is slated to open a new Shanghai theme park next month. In an interview with CCTV, Wang criticized the high cost of the Shanghai park, at $5.5 billion. Wang's ticket prices are also significantly lower, starting at around $30 (198 yuan) compared to Disney's, which are more than $50 (or 370 yuan). "They shouldn't have entered China," said Wang, "one tiger is no match for a pack of wolves. Shanghai has one Disney, while Wanda, across the nation, will open 15 to 20." Wang hopes that his parks will celebrate Chinese culture and build confidence in Chinese enterprise, as opposed to giving in Westernized entertainment and values. Many locals were unsure if Wang's theme park mission will succeed. In addition to Disney, Wang also has to contend with DreamWorks Animation, Six Flags Entertainment, and several domestic firms over the next five years. One of the largest issues that many Chinese theme parks have is a lack of coherency and plenty of glitches. Even if Wanda overcomes the pratfalls of other theme parks, it may not be enough. Their biggest selling point, the celebration of different ethnic groups, fails to captivate audiences like famous Disney characters. A large part of the problem is the strict censorship of how artists can use Chinese icons. In order to effectively tackle Disney and beat out the rest of the market, Wang may have to leverage his movie studio holdings to develop original characters and storylines that appeal to audiences both in China and worldwide.